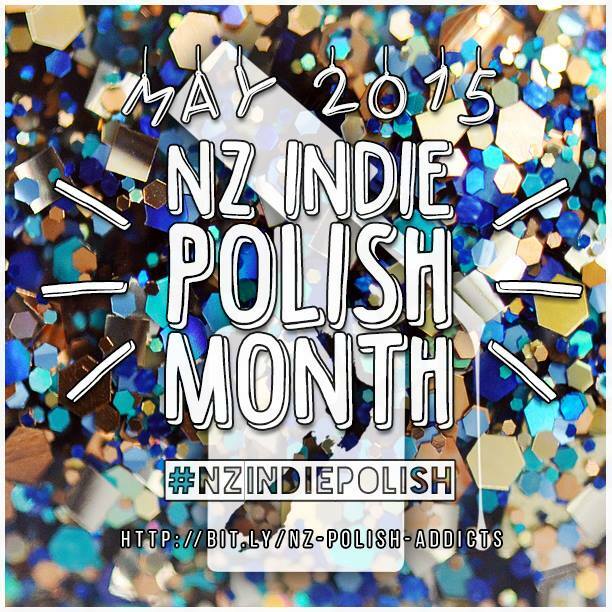 Back again with another NZ Indie Polish Month post! 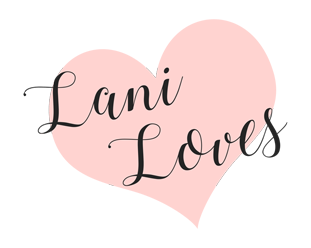 The blog (and, well, just about everything) was pushed to the backburner last week as we were out of town due to a loss in the family, but I'm home now, albeit more maudlin. Still, life goes on and there's no reason why my nails can't be happy, right? That's where Star Kin Daisy Dot Star comes in. 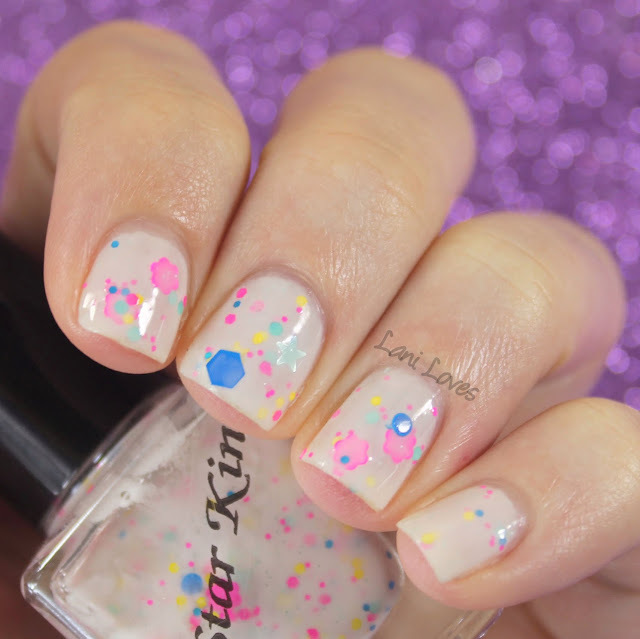 It's impossible not to be cheered up by this adorable polish! 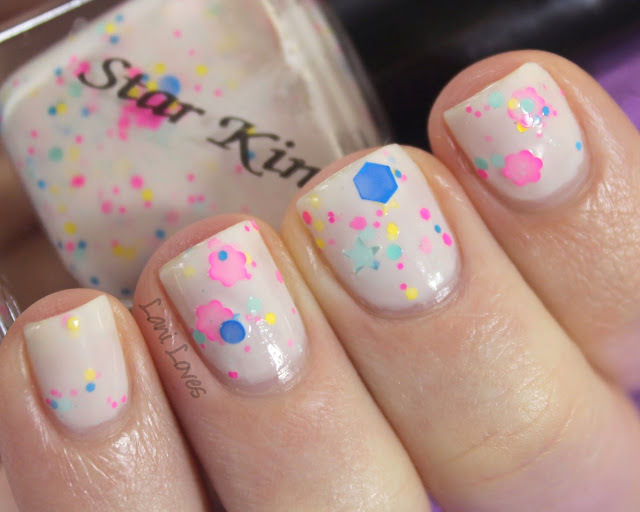 Daisy Dot Star is a white crelly speckled with an assortment of neon and pastel glitters and a smattering of blue. 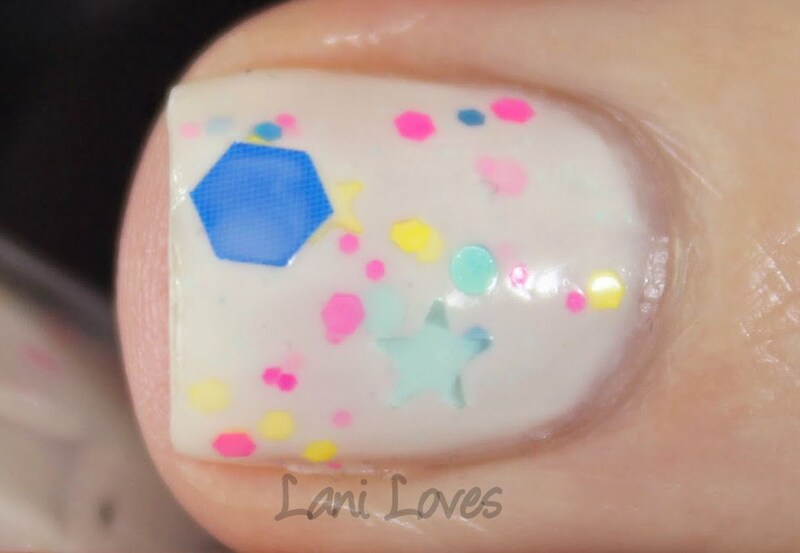 There are holo and matte circles, neon pink flowers aqua and yellow stars and lots of little hexes. 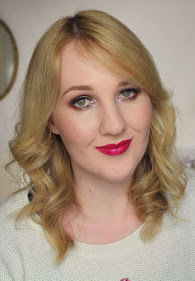 It was mostly opaque in three coats, but I dabbed a little more on in places where I hadn't been entirely even in my application. A more careful hand will nail it in three. What do you think of Daisy Dot Star?